This is one of those very rare instances that I’d have to say that advertising convinced me to purchase a beauty product. I’m the type who would normally go around the beauty shop, try items here and there then only make the decision to buy. But for once, after seeing ads continuously, reading good reviews online, I decided to finally give this popular product a shot. A few years back when I was working for a company located along Jalan Tuanku Abdul Rahman, I walk around Sogo department store from Mondays to Fridays during lunchtime. It’s actually quite nice to shop at Sogo because they have practically everything that I look for: baby clothes, baby shoes, milk powder, office clothes, shoes, cosmetics, stationeries and more. Sogo probably has the widest baby and kids section in 1 floor within Kuala Lumpur. And so one Saturday afternoon, I went shopping again at Sogo KL. 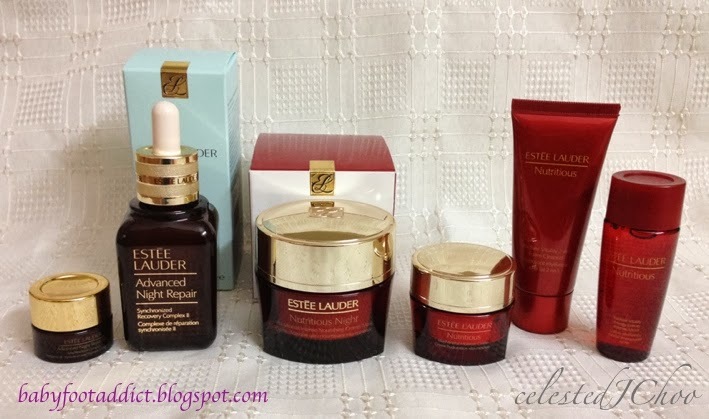 I excitedly visited the Estee Lauder counter and checked out the available gift sets. What did I want to get? The Advanced Night Repair Synchronized Recovery Complex II and a night cream for my mother-in-law. I’ve been seeing ads of the Estee Lauder Advanced Night Repair for years. So when aging seemed to catch up with my skin (fine lines, uneven skin tone, noticeable pores, dull appearance, roughness), I knew I had to crank up my skincare regimen with a powerful anti-aging serum. And what do you know; those 2-page spreads on magazines caught me. I also did some research online from customers/ bloggers who have tried the product and, yes, I’m convinced. I’ve been using the product for 3 weeks now and I’m very happy with the improvement on my skin. It’s true that I wake up to better skin every morning. 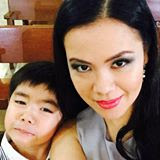 The most evident change I’ve felt was the ease of makeup application on a smoother skin. I used to apply several layers of cosmetics on my face before going to work but now I can get away with skipping one or two when I’m in a hurry. I even apply thinner liquid foundation because of more even skin tone. I guess one of the great things with this product is that I only need to apply it in the evening and yet I get wonderful benefits. 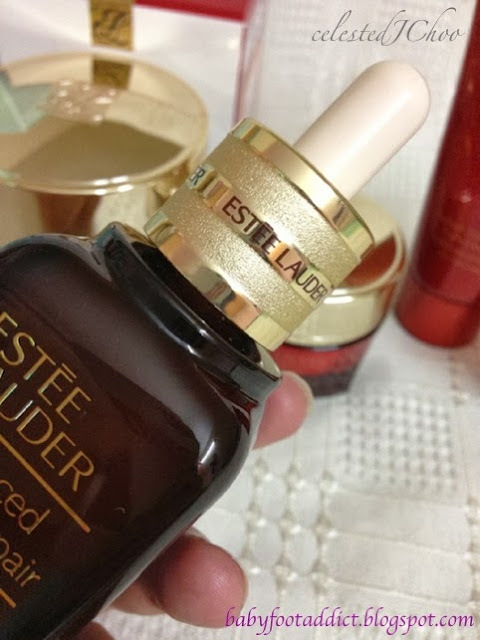 Like what the brand says, this is ‘The power to change your skin – every night!” I only use between 2-3 drops all over my face, using my middle and ring fingers, and I’m sure this 50ml will last for more than 3 months. 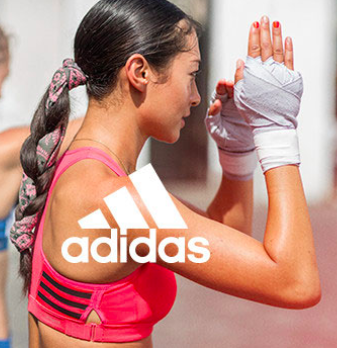 The power to change your skin --- every night! The science behind this popular product is based on 2 discoveries: 1) purification and, 2) Lack of Sleep Accelerates the Look of Aging. 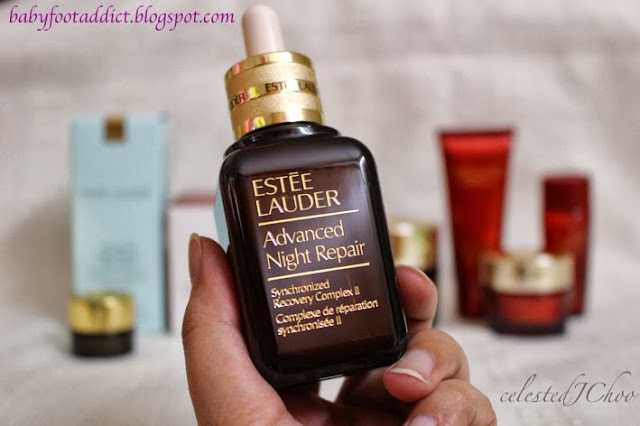 Estee Lauder scientists were among the first to understand a critical nighttime cellular repair, Catabolysis, and determined that this natural purification process peaks in cells at night and is pivotal to skin’s natural repair. 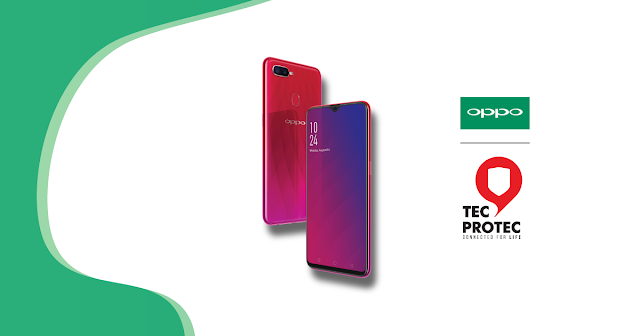 This led our scientists to develop a breakthrough technology, ChronoluxCBTM. 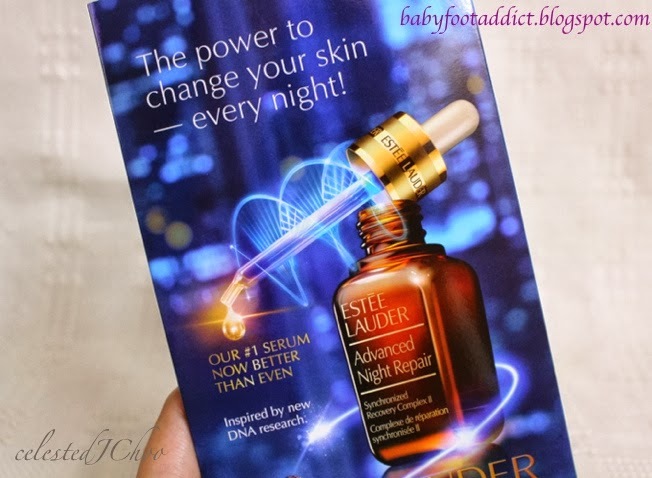 Skin renewal expert Estee Lauder collaborated with sleep experts from Case Western Reserve University, a world-renowned centre of excellence in dermatological research. The result was lack of sleep not only causes visible signs of aging but also affects skin’s natural repair processes. The study showed that, for the first time, that lack of sleep can accelerate visible signs of skin aging. I am guilty of not having sufficient sleep almost daily. I sleep past midnight and get up at 6:15am. Not easy to sleep early when your child sleeps late. 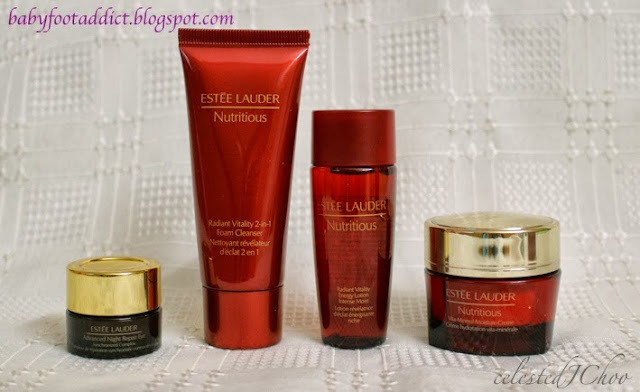 But with the product claims of this Estee Lauder product, I am hopefully on my way to continuously improving skin. 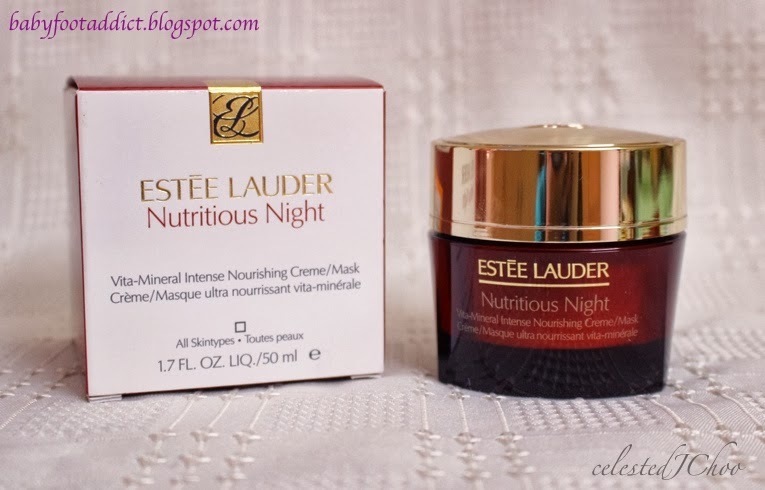 I also got the Estee Lauder Nutritious Night Vita-Mineral Intense Nourishing Crème for my mother-in-law. I truly believe that everyone should recharge their evening skincare regimen since this is the time when our skin rejuvenates itself. These are the 4 minis in the set – 30ml Nutritious Foam Cleanser, 30ml Nutritious Energy Lotion, 15ml Nutritious Day Cream and 5ml Advanced Night Repair Eye. Great value gifts with the set! Yes, I got a RM50 voucher from this loot. 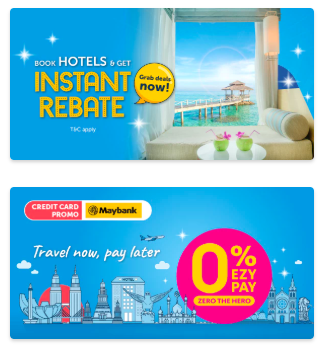 I’ll share a short blog later on about how I wisely spent this RM50 Sogo voucher! 5 Great Disney Junior Shows for your Kids!